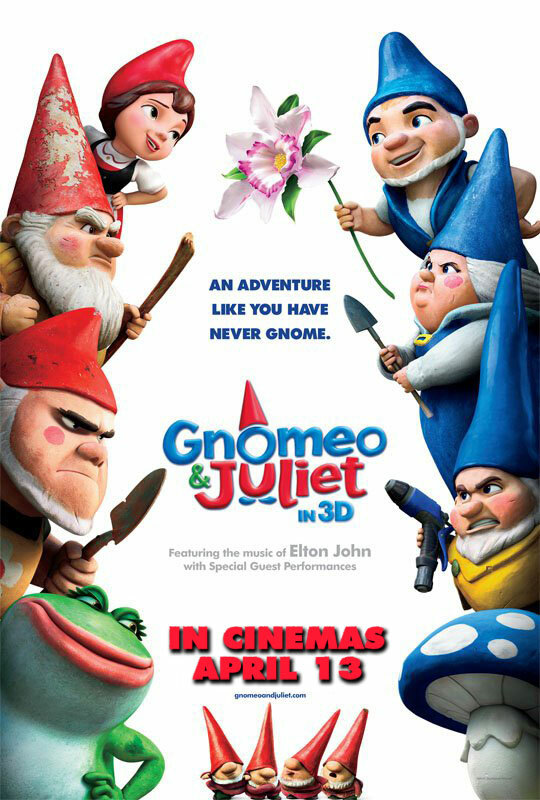 In the upcoming animated comedy adventure “Gnomeo and Juliet,” Shakespeare’s revered tale gets a comical, off-the-wall makeover. Directed by Kelly Asbury (“Shrek 2”) and showcasing both classic and original songs by Elton John, the film features the voices of James McAvoy (“Wanted,” “The Chronicles of Narnia: The Lion, the Witch and the Wardrobe”) and Emily Blunt (“The Devil Wears Prada”) as Gnomeo and Juliet, who have as many obstacles to overcome as their quasi namesakes when they are caught up in a feud between neighbors. But with plastic pink flamingos and thrilling lawnmower races in the mix, can this young couple find lasting happiness? Also lending their voices are two-time Academy Award®-winner Michael Caine (“Cars 2,” “Inception”) as Juliet’s father Lord Redbrick, Jason Statham (“Transporter” series) as Gnomeo’s nemesis Tybalt, Maggie Smith (“Harry Potter” movies) as Lady Bluebury, Patrick Stewart (“Star Trek”) as Bill Shakespeare, Ashley Jensen (“How to Train Your Dragon”) as Juliet’s friend and confidante Nanette, Stephen Merchant (TV’s “The Office”) as Juliet’s expected suitor Paris, Matt Lucas (“Alice in Wonderland”) as Gnomeo’s best mate Benny, and Jim Cummings (“Winnie the Pooh,” “Shrek”) as the plastic pink flamingo Featherstone. Julie Walters (“Harry Potter” movies) and Richard Wilson (TV’s “Merlin”) give voice to the human feuding neighbors, Miss Montague and Mr. Capulet; Ozzy Osbourne portrays Tybalt’s sidekick, Fawn; Dolly Parton plays the country gnome Dolly who starts the mower race; and Hulk Hogan lends his voice to the unapologetic beast of a lawn mower, the Terrafirminator. 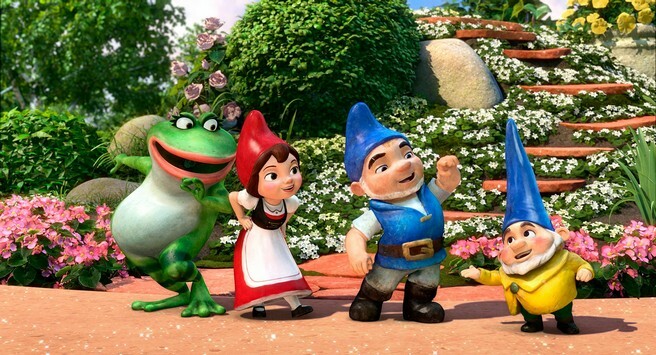 “Gnomeo and Juliet” is produced by Baker Bloodworth, Steve Hamilton Shaw and David Furnish. The film is executive produced by Elton John, whose classic songs are featured in the film along with new songs written with his longtime collaborator Bernie Taupin and featuring special guest performances. The original score is by James Newton Howard and Chris Bacon. 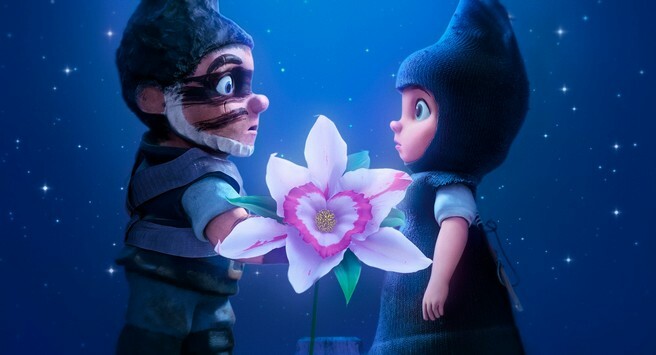 Opening on April 13 across the Philippines in Digital 3D and regular format, “Gnomeo and Juliet” is distributed by Walt Disney Studios Motion Pictures International.